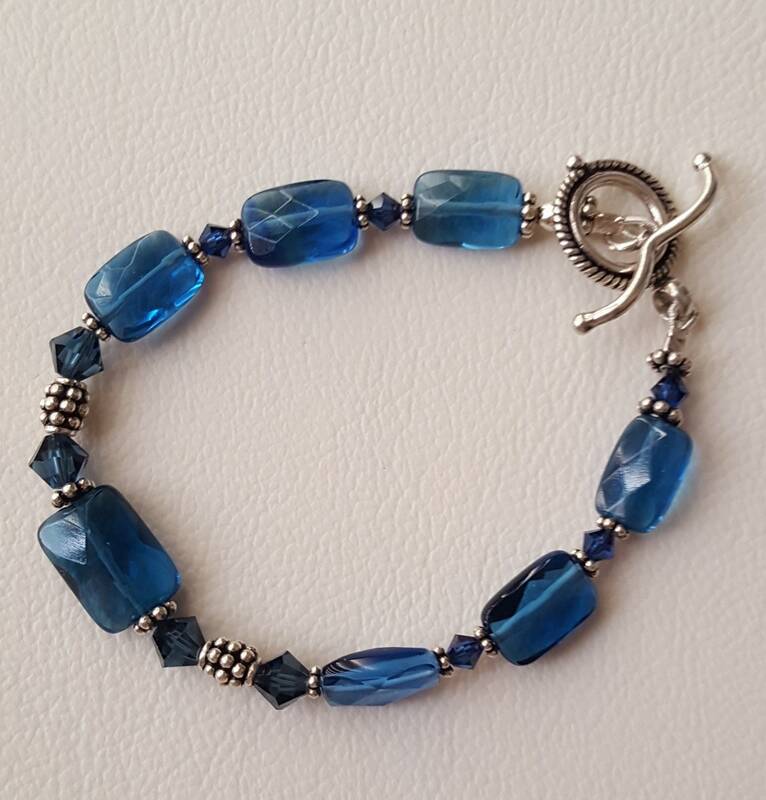 Faceted blue glass beads with swarovski crystals and bali silver. Sterling silver toggle clasp. 6 3/4"